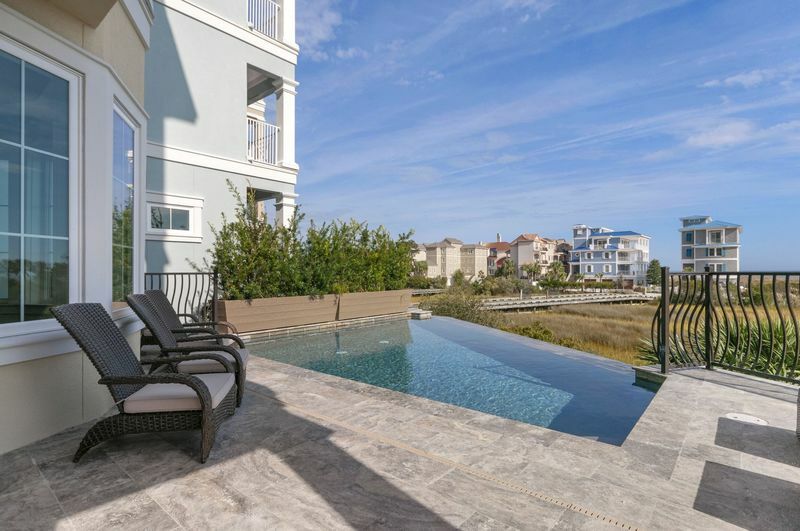 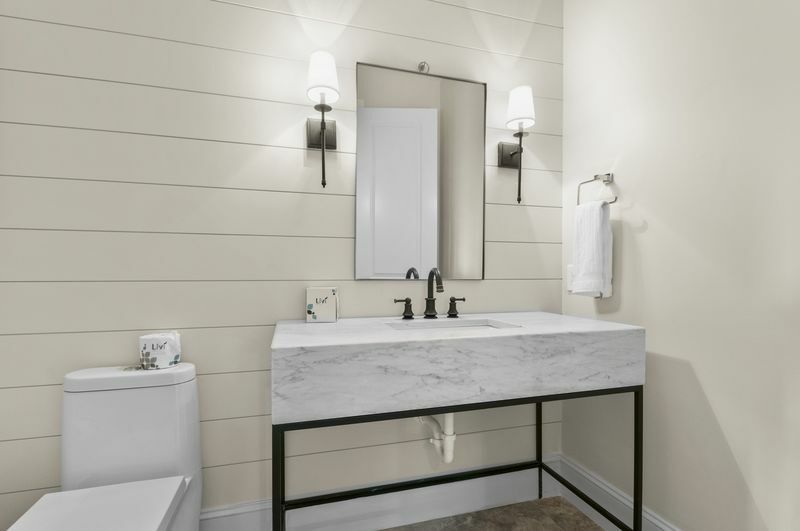 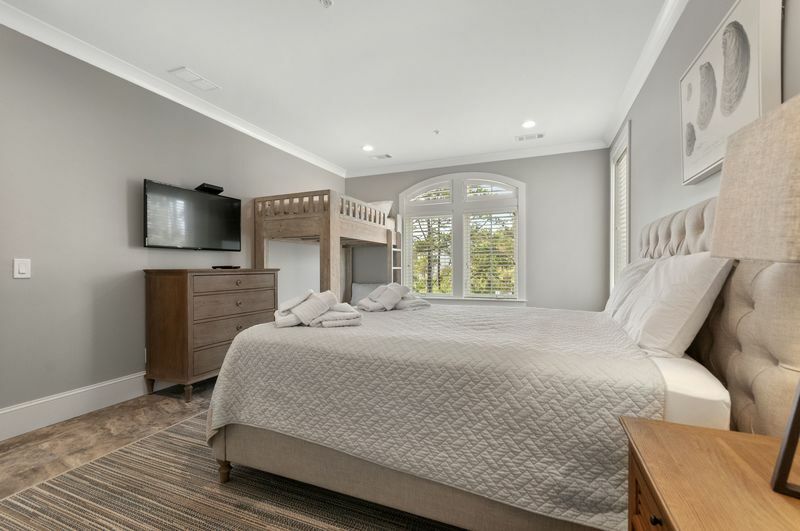 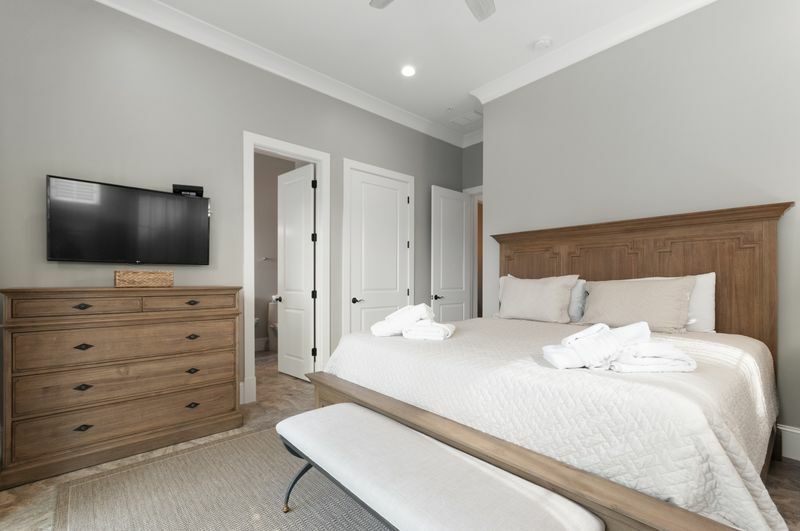 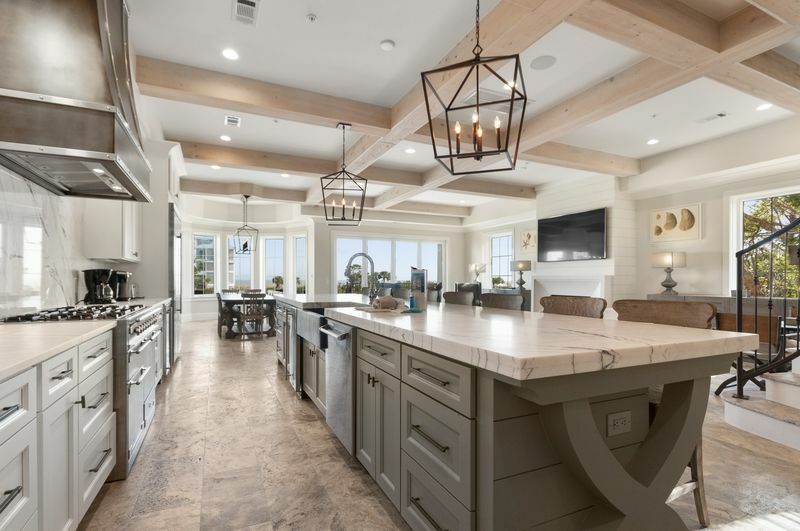 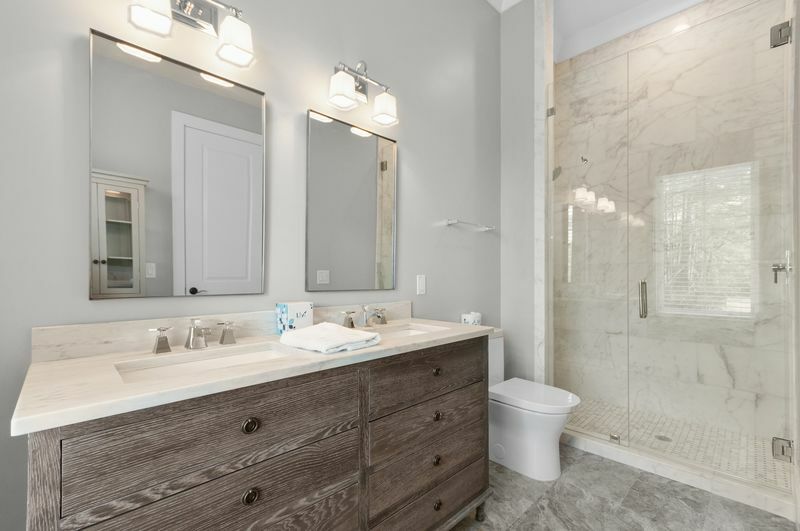 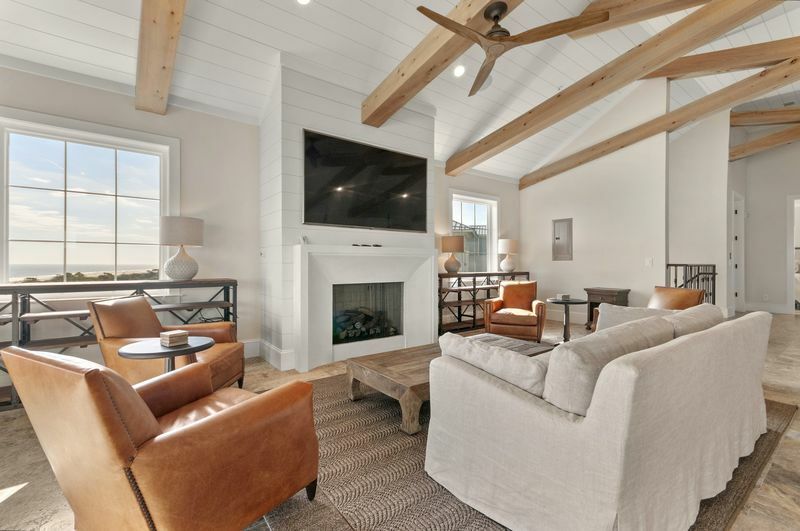 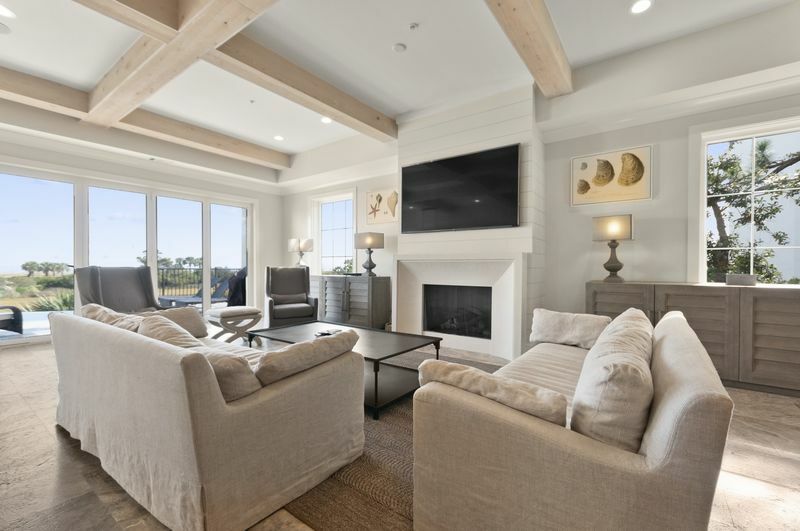 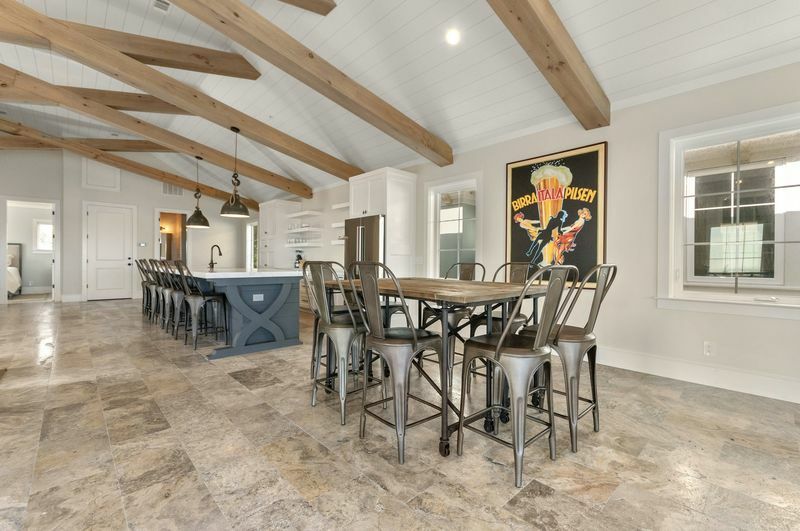 Located in the Bradley Beach area of Hilton Head Island, you'll find the beautiful new construction home, Point of Sail. 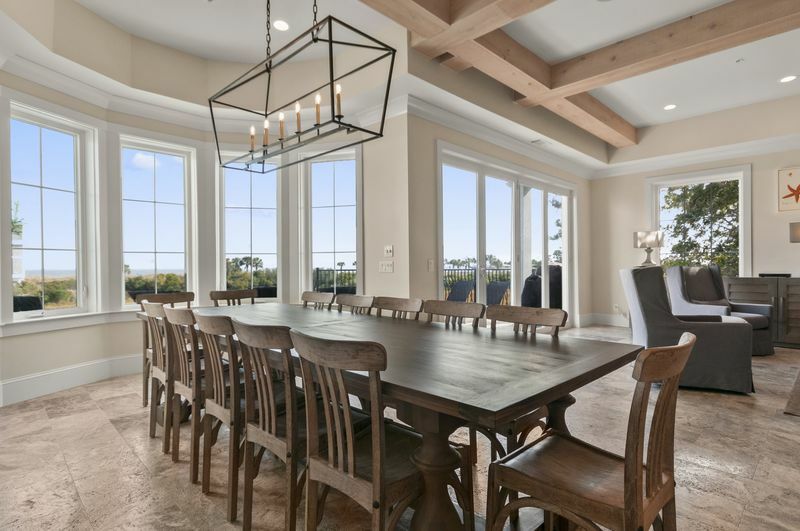 This magnificent luxury beach house spans a total of 7,200 sq. 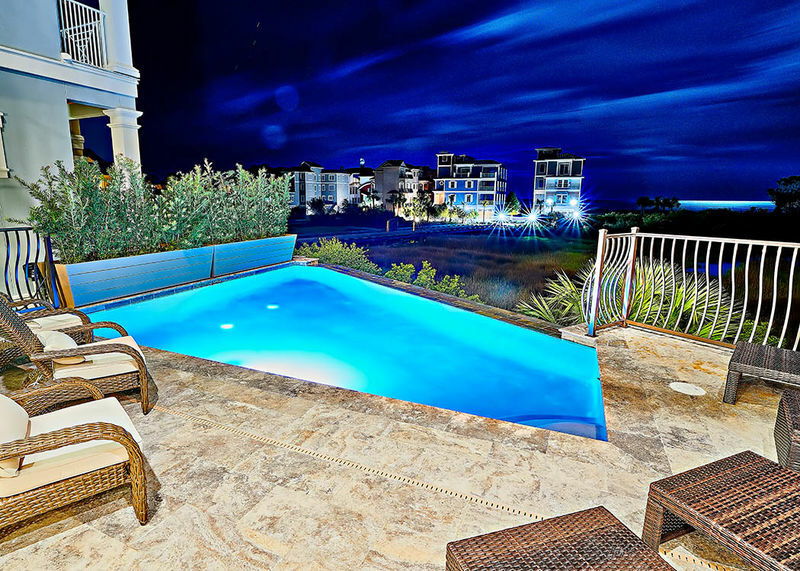 ft and comes complete with four covered balconies and stunning ocean views. 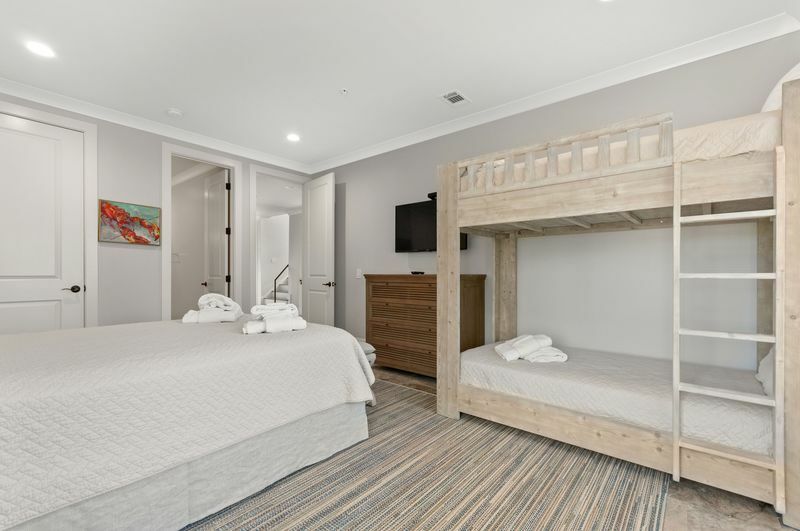 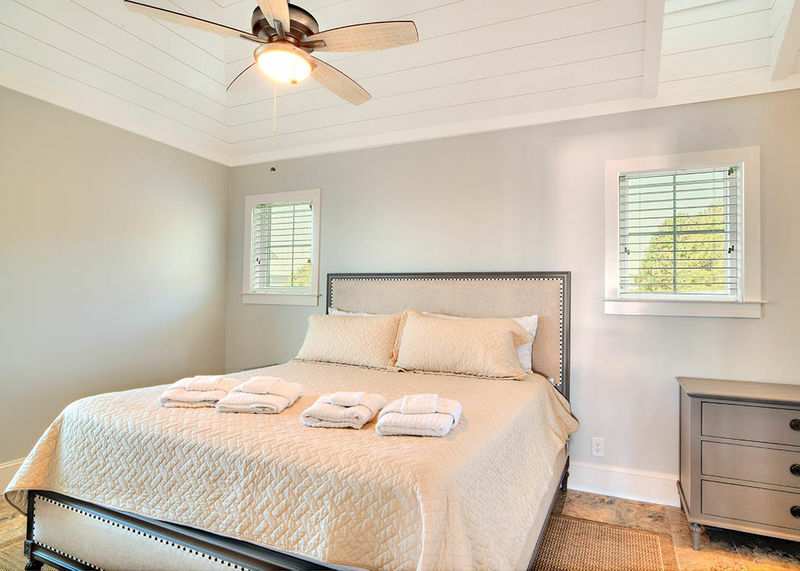 Point of Sail features ten bedrooms and ten and a half bathrooms, sleeping a total of 24 guests, making it ideal for family vacations, weddings, and corporate retreats. 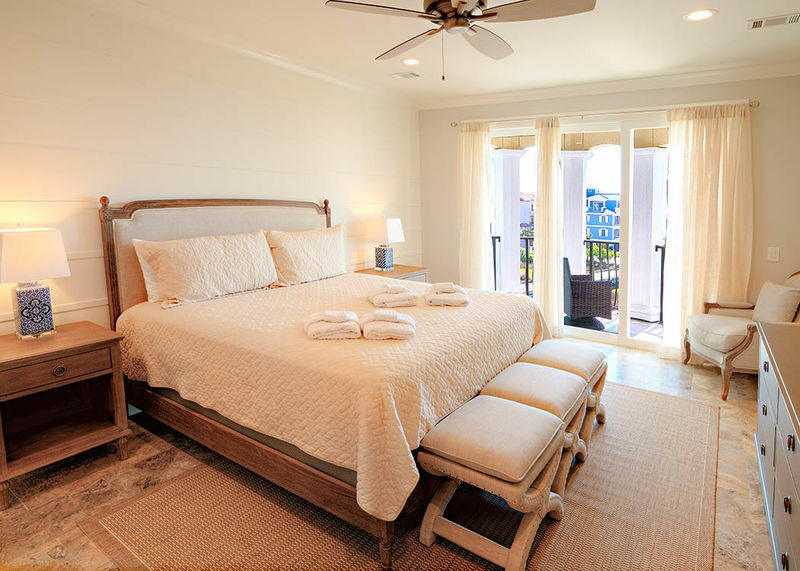 The adjacent homes, Windward and Leeward, can also be rented out for additional sleeping accommodations. 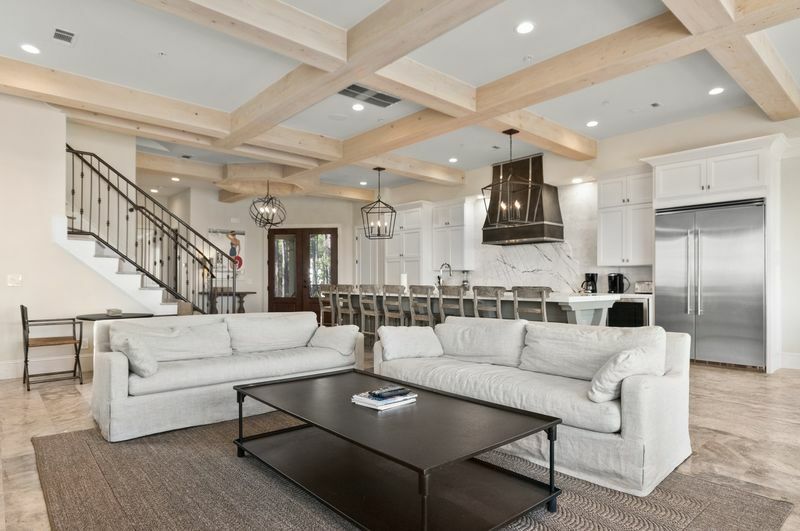 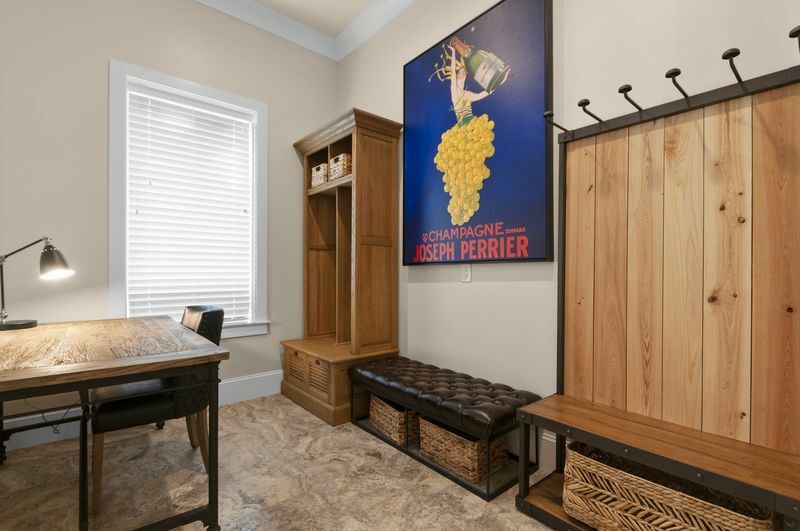 Upon entry, you'll love the bright open concept first floor complete with kitchen, living area, and formal dining area. 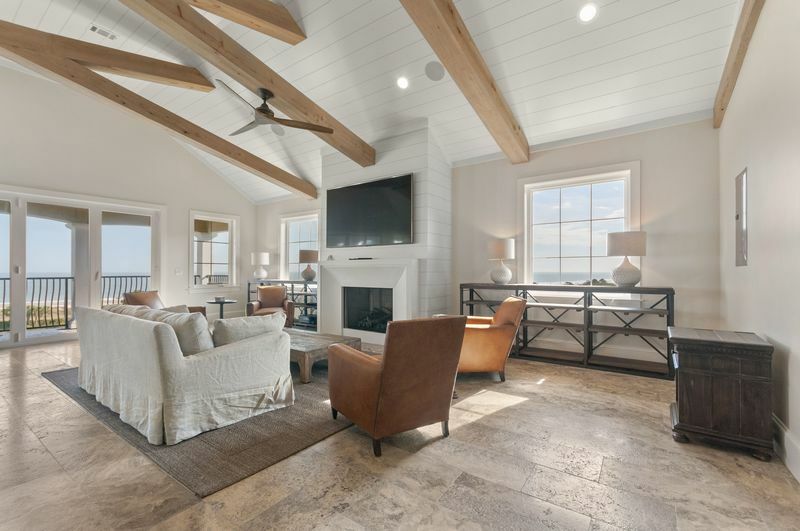 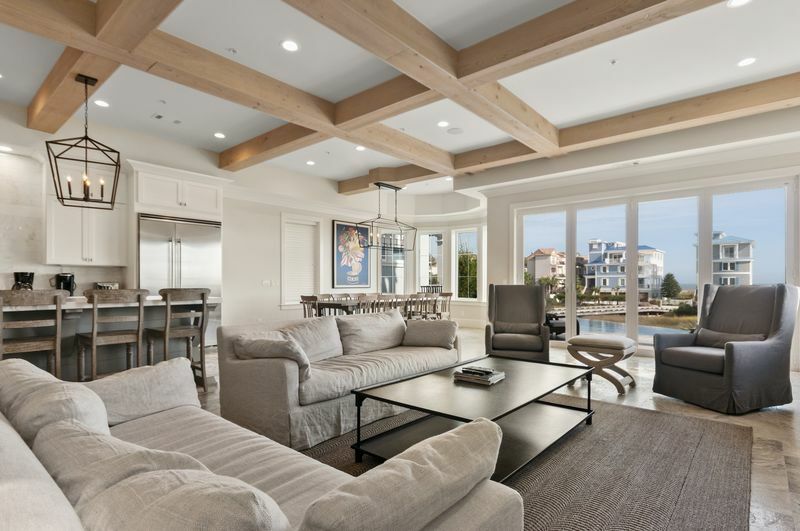 The exposed ceiling beams, fireplace, and chic decor all complement the stunning ocean views. 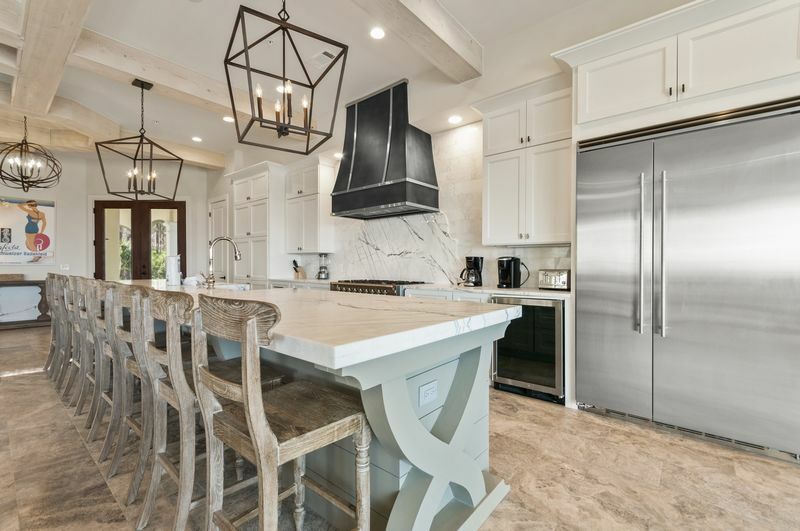 Additionally, the gourmet kitchen features stainless steel appliances, an ice maker, beverage center, breakfast bar, and updated furnishings. 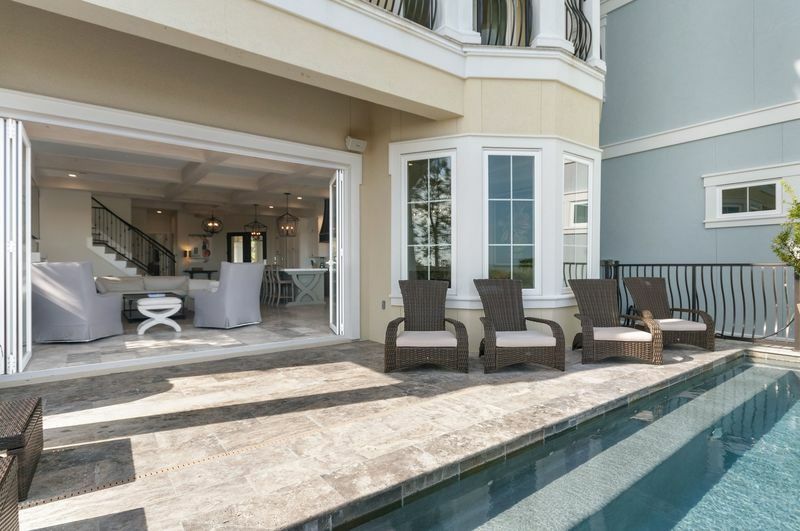 Guests can access the patio off the main living area. 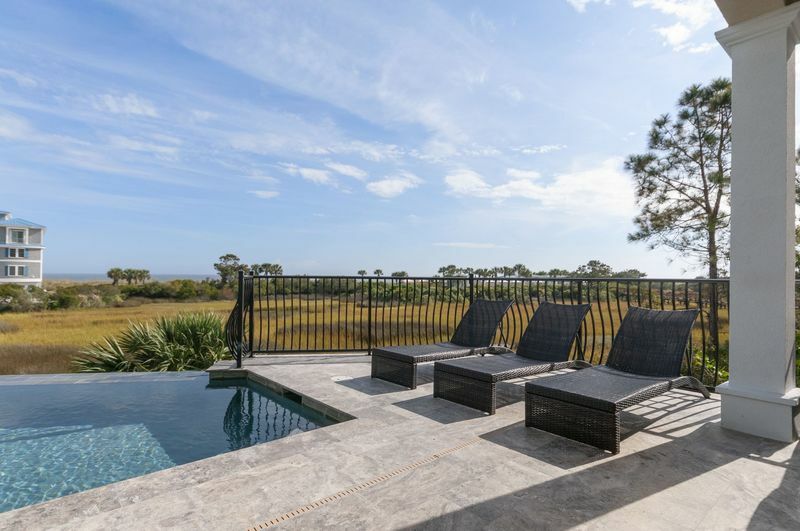 Outside, you'll find the luxurious infinity pool and an outdoor living area where you can enjoy the beautiful weather while taking a dip or enjoying a nice cool drink. 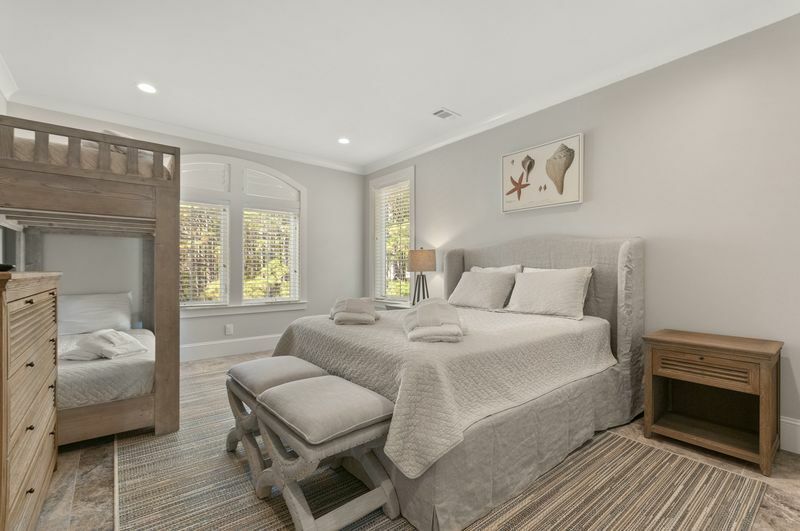 With ten bedrooms, this home has plenty of space for a large group. 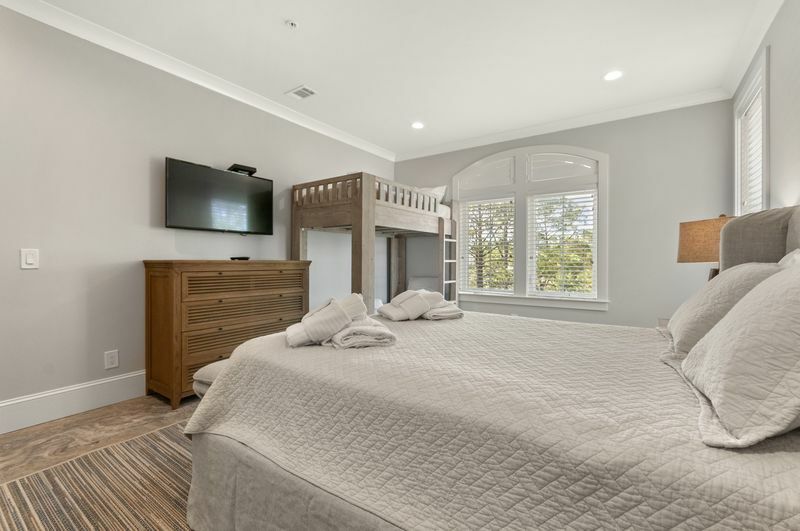 The first bedroom can be found on the first floor, off of the main living area, but the other nine bedrooms are upstairs. 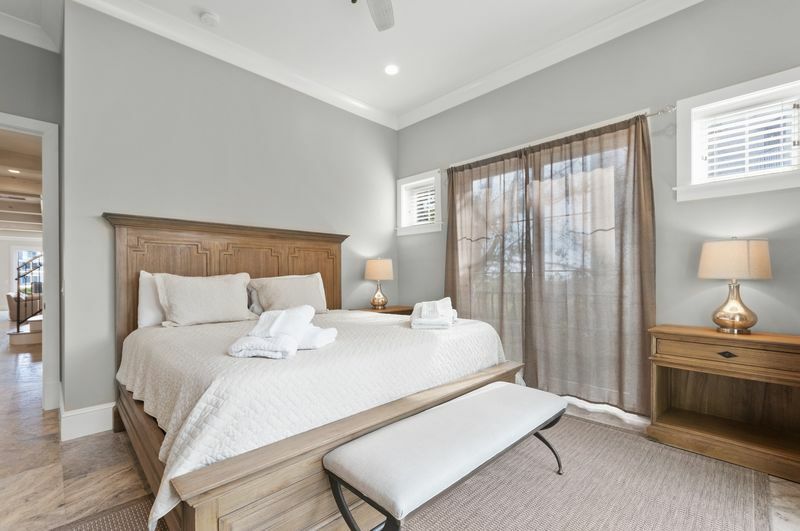 As you continue to the second floor, you’ll find the next four bedrooms. 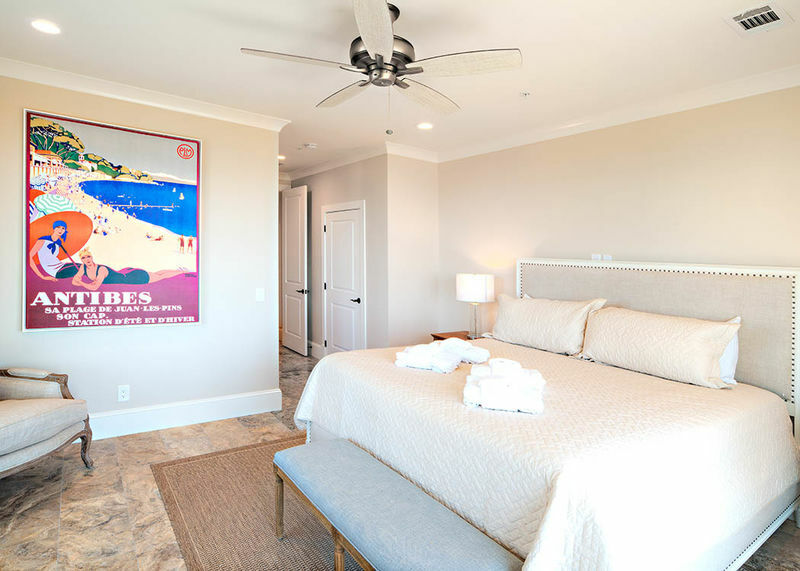 The two bedrooms at the front of the home share balcony access with ocean views. 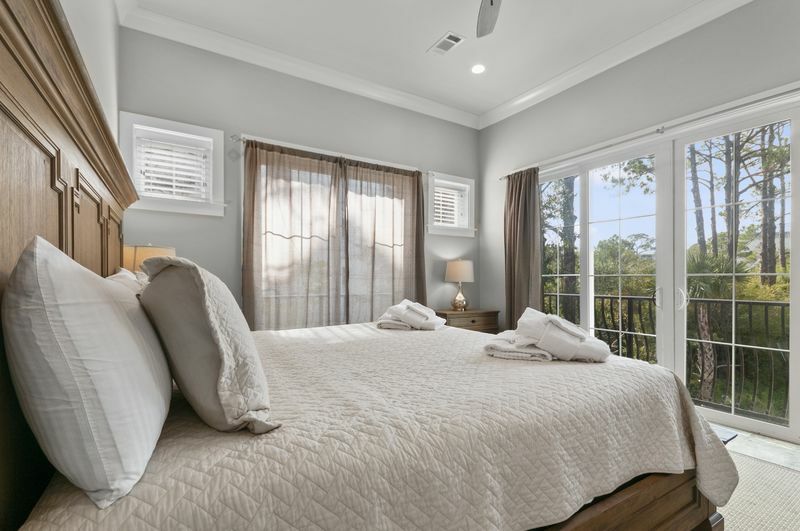 Additionally, the third floor has four more bedrooms, and three of these rooms have private balcony access with stunning views. 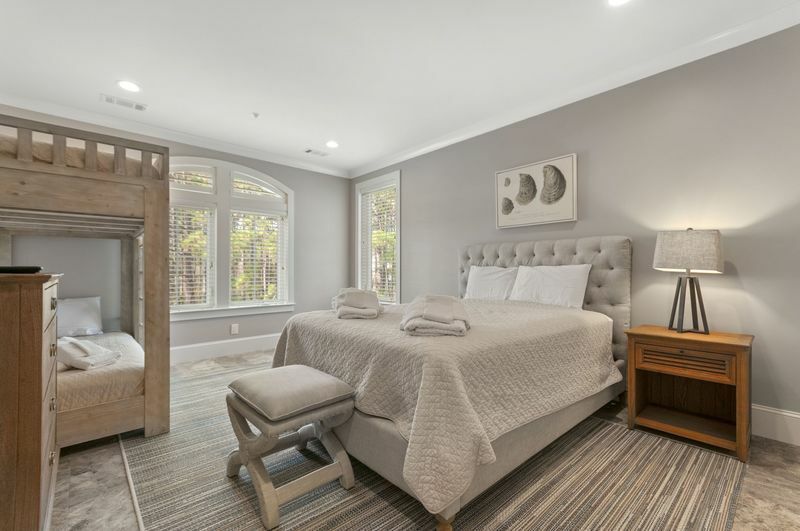 Finally, you'll find the tenth bedroom on the fourth floor. 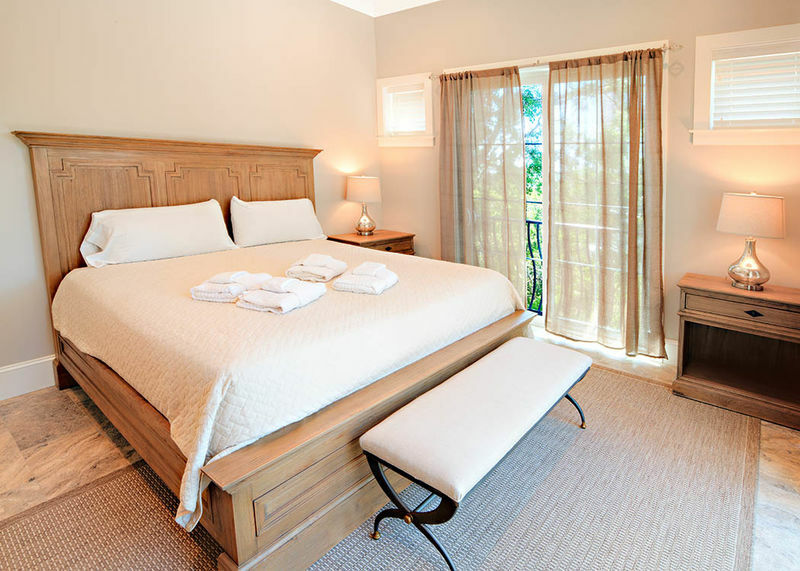 The nine bedrooms on the upper levels all have en-suite bathrooms and HD-TVs to ensure that all guests have as luxurious a stay as possible. 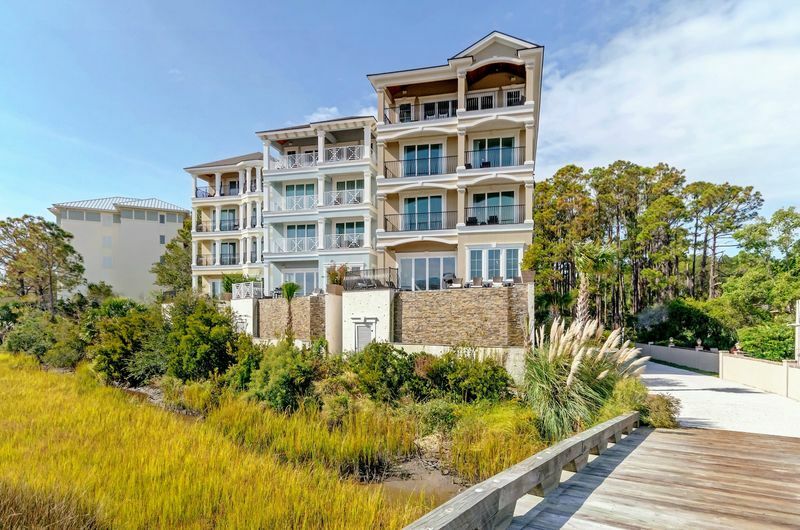 The fourth and final floor also provides a large entertainment space, equipped with a second living area, an HD-TV, a huge in-home bar to include a 36" refrigerator/freezer combo, beverage center, and breathtaking views of the Atlantic Ocean. 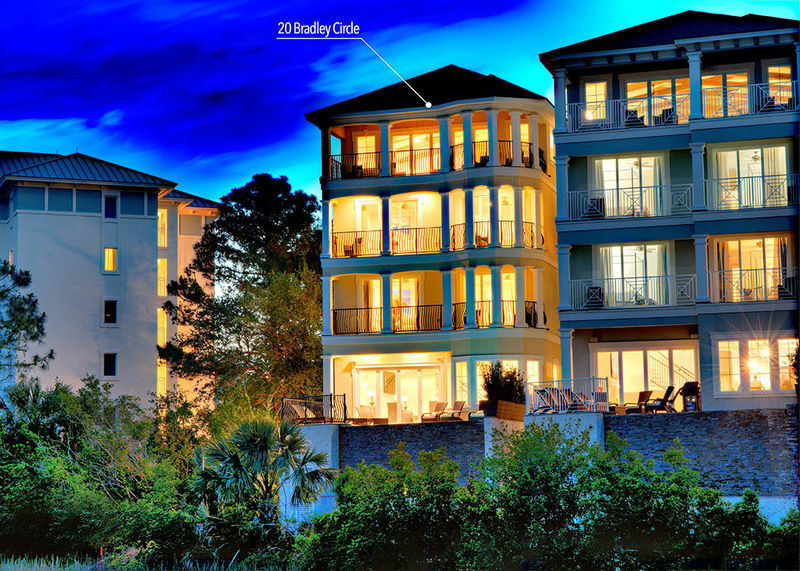 Additionally, this home comes complete with an in-home elevator to ensure easy access to all four floors for all guests. 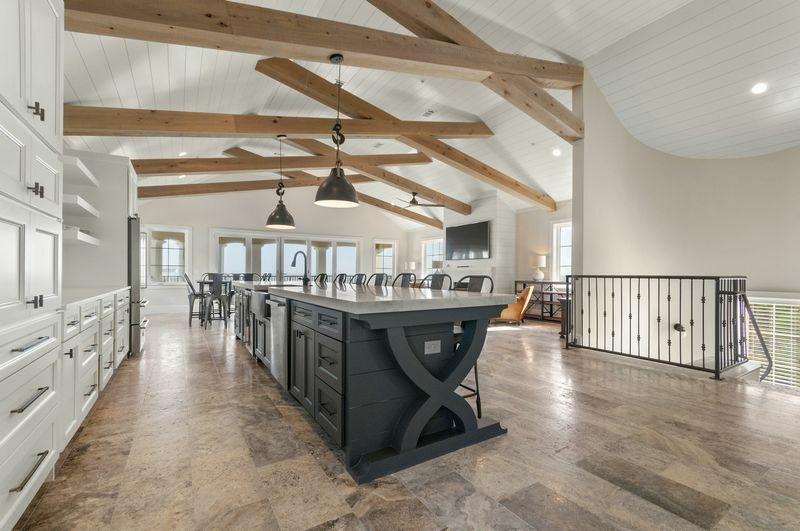 Overall, Point of Sail is the ideal home to rent for a large group event. 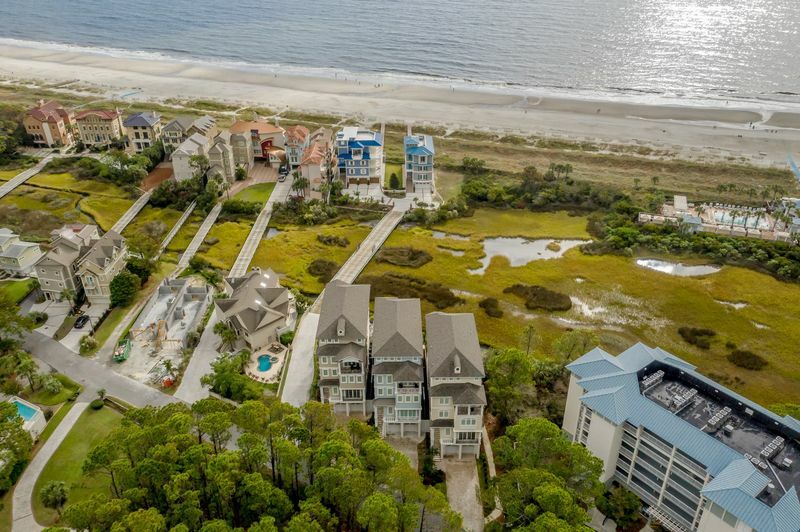 Whether you're planning a family reunion, wedding, or corporate retreat, you can't go wrong here. 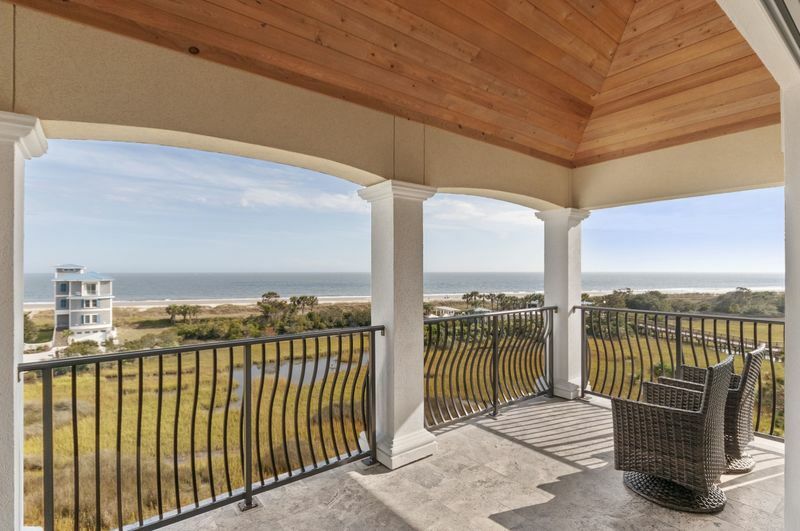 With magnificent views, plenty of sleeping accommodations, and endless entertainment options, this beach house has it all. 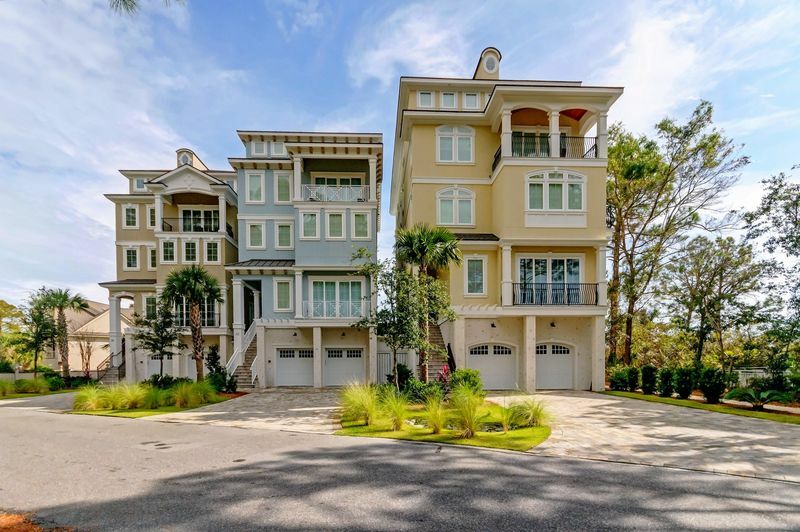 Additionally, between the garage and driveway, there's parking for up to eight vehicles. Don't forget that you can also book the neighboring homes, Windward and Leeward, for additional accommodations as each of them also sleep upwards of 24 guests.